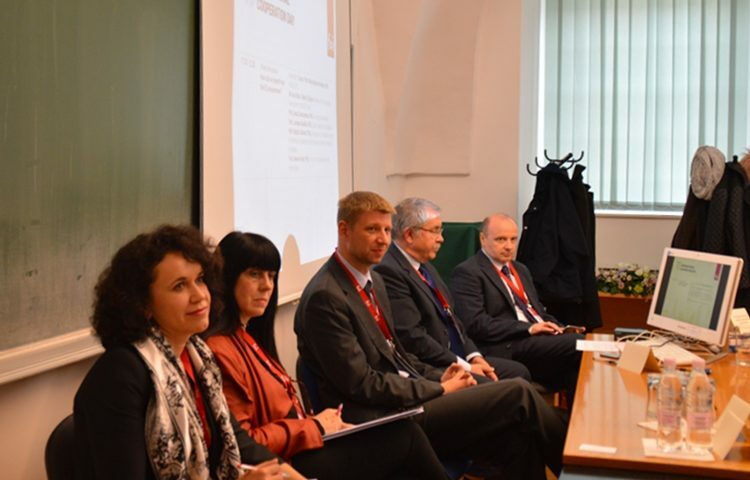 On April 20th, Lourdes Guàrdia, professor of the Faculty of Psychology and Education Sciences and member of Edul@b, participated as keynote at the 10th International cooperation Day, organised by the Faculty of Organization and Informatics of the University of Zagreb, in Varazdin, Croatia. In addition to the lecture given on the experience of an online university from a pedagogical and international perspective, the professor also participated in a panel discussion entitled How did we benefit from the EU programmes?. The research experience of the Edul@b group in the participation in European projects throughout the years was of great interest for the participants of the conference.